If any of you have seen or heard the new Al Gore lately, you may have found him to be much more likable. Even if you still hate his politics, you may concede that this new Al Gore is more amiable than the politician Al Gore. He seems to be actually having fun, being himself and enjoying his new role as an evangelist for the environmental movement. 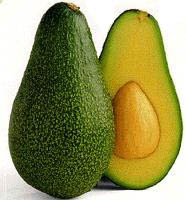 No good reason, just like this picture of an Avacado. It appears clear now that the new Al Gore is really passionate about change; and may have been since the early 90's, if not earlier. Then what the hell was he doing running campaigns, kissing babies and trying to out tap dance Bush W.? Well, he was doing what many of us are probably doing with our lives today without even realizing it. He was living the Deferred Life Plan. The Deferred Life Plan, a phrase used in Randy Komisar's book "The Monk and the Riddle" is defined as: I will do now what needs to be done now, and will eventually do I really want to do. The idea is to focus on some conventional notion of success, some superficial goal and only after achieving that goal to move on to life's purpose. In Al Gore's case, it would be stated as "I will be a politician and become President so that I can one day fix the environment". What if you never get done with your first phase. Be it having a million bucks (or ten or hundred) in the bank or kids going to college - life always brings surprises and you may find yourself way past your prime age or worse - before you get to the second phase - the one that you really wanted to live. The passion that comes with doing what you really want to do makes you glow, makes you likely to generate passion in others, makes you a leader - makes you the new Al Gore. So whatever that next phase is may be the thing you should be doing first anyways even if its purely for external or material success. As I attend my alumni meet this week, over a decade after graduation, I will surely be pondering over these questions. And I urge you too to take a moment - Is what you are doing right now what you really want to be doing? Or is this the thing that you think needs to be done before you can do what you really want to do? May be its time to begin your life, have fun and success may follow (or not which may not be a bad thing if you are happy) - do you want to be the new Al Gore or the old Al Gore? I didn't know that's what it was celled. Worked for me.